From left to right: I am an absolute squirrel fan which is why I love this card by papermichelle; This is probably my favourite shop find of the lot. How cute is this hedgehog card? The outside reads: “HI! I KIND OF LIKE U …” and the inside reads “A LOT”; The “You + Me” card by JulieAnnA reminds me of scribbles in my high school maths book. 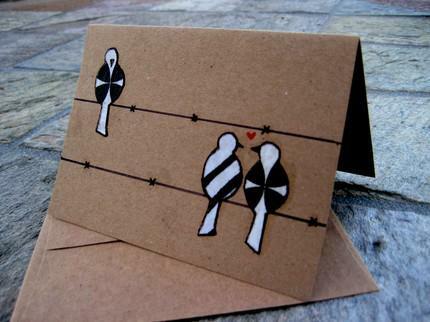 What a great idea for a card though; This card by upup took me a while to get but once I did, I had to favourite it. It reads “If it were opposited day, then I would tell you that I hate you. More than I hate anyone else. Even more than I hate that girl from the fifth grade. For Real.” I love how this card‘s text is unexpected; I am also crazy about this card: The heart is attached and reads “Owl you need is love” and reminds me of that great song by the Beatles: All you need is love. 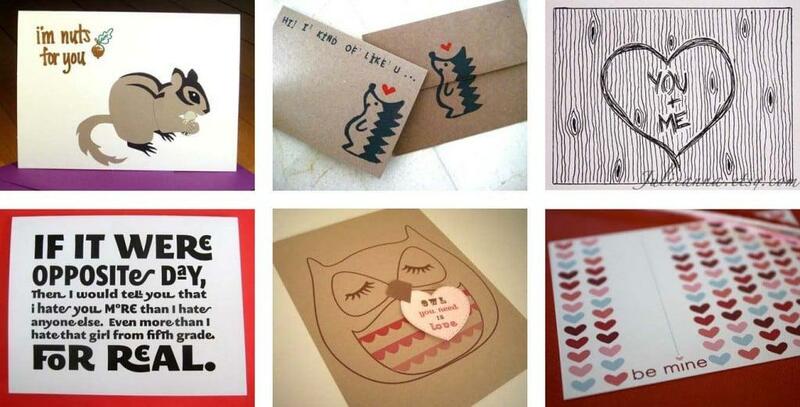 Wouldn’t it be such a sweet ‘hoot’ if when you opened the card this song played; Lastly, the “be mine” card is by threewheelsdesign. It’s a cute card and we have all been there. Quick … hurry over and buy your card. The only catch with etsy is you have to take shipping times into consideration (I have my fingers crossed that the cards I ordered arrive in surprising time). This entry was posted in Blog and tagged buy valentines cards, card ordering, cards, greeting cards, love, Valentines day. Nice ValentineÂ´s cards. My favourite cards are the the numbers 2 and 5 ,hedgehog and owl. Thank you so much for including by You + Me card! I’m glad you like it! Have a Happy Valentine’s Day!